L. Scott Levin, MD, is Chair of the Department of Orthopedic Surgery at Penn Medicine and Director of the Hand Transplant Program at Children's Hospital of Philadelphia (CHOP). 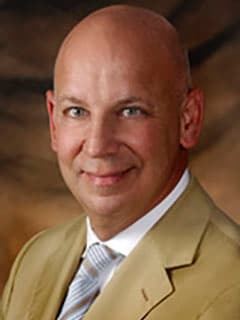 As an accomplished clinician, his expertise focuses on surgery of the hand and upper extremity, reconstructive microsurgical techniques for extremity reconstruction and limb salvage. His research interests focus predominantly on extremity soft tissue reconstruction and vascularized composite tissue allotransplantation. Working collaboratively with colleagues across medical disciplines, Dr. Levin established and was the Director of Duke’s Human Tissue Laboratory and also directed the Anatomic Gifts Program. He also established a Human Tissue Laboratory at Penn, which opened in May 2011. The Human Tissue Laboratory acts as a teaching tool and a research facility benefiting students, residents and CME participants. Dr. Levin heads the Vascularized Composite Allotransplantation (VCA) Program at Penn and directed the teams that performed bilateral hand and arm transplants in September 2011 and another in August 2016. In 2015, as Director of the Pediatric Hand Transplantation Program of Children’s Hospital of Philadelphia, he led the team that performed the world’s first bilateral hand transplant in a child. As a committed educator, Dr. Levin has been recognized for his commitment to teaching with the 2007 Master Clinician/Teacher Award for his accomplishments in both clinical care and education at Duke, and in 2014 was awarded the I.S. Ravdin Master Clinician Award, a Penn Medicine Award of Excellence at the Perelman School of Medicine at the University of Pennsylvania. In 2015, he was named Individual Innovator of the Year at the Philadelphia Business Journal Healthcare Innovator Awards. Widely published with more than 316 peer-reviewed journal articles, 80 book chapters and 11 books, Dr. Levin also actively participates in senior leadership activities of many international and national professional societies and associations, including serving as Orthopaedic Regent of the American College of Surgeons, Vice-President of the American Society for Surgery of the Hand, Chair of the VCA Transplantation Committee of the United Network for Organ Sharing, President of the World Society of Reconstructive Microsurgery (2013-2015), President of the American Society for Reconstructive Microsurgery (2006-2007), member-at-large of the American Society of Plastic and Reconstructive Surgeons, President of the American Society for Reconstructive Transplantation (2010-2012), and member of the Board of Directors of the American Board of Plastic Surgery (2006-2012). In addition, Dr. Levin has been honored as a North American Traveling Fellow, the American British Canadian Traveling Fellow by the American Orthopedic Association, and the Sterling Bunnell Traveling Fellow by the American Society for Surgery of the Hand. In 2015, he was awarded the Andrew J. Weiland Medal by the American Society for Surgery of the Hand. He has served as the Orthopaedic Trauma Association’s Landstuhl Scholar, caring for our war-injured soldiers in Germany. Dr. Levin is responsible for developing the field of orthoplastic surgery. Silvestre J, Lin IC, Levin LS, Chang B. Variability in resident operative hand experience by specialty. J Surg Educ. 2017 Jul - Aug;74(4):650-655. Clement RC, Gray CM, Kheir MM, Derman PB, Speck RM, Levin LS, Fleisher LA. Will Medicare readmission penalties motivate hospitals to reduce arthroplasty readmissions? Journal of Arthroplasy. 2017 Mar;32(3):709-713. Momeni A, Lanni MA, Tecce MG, Levin LS, Kovach SJ. Does the use of vein grafts increase complication rates in posttraumatic microsurgical lower extremity reconstruction? - A matched-pair analysis. J Reconstructive Microsurgery. 2017 Jun 28. Momeni A, Lanni M, Levin LS, Kovach SJ. Microsurgical reconstruction of traumatic lower extremity defects in the pediatric population. Journal of Plastic and Reconstructive Surgery. 2017 Apr;139(4):998-1004. Ligh CA, Nelson JA, Fischer JP, Kovach SJ, Levin LS. The effectiveness of free vascularized fibular flaps in osteonecrosis of the femoral head and neck: A systematic review. Journal of Reconstructive Microsurgery. 2017 Mar;33(3):163-172. Levin LS, Rozell JC, Pulos N. Distal radius fractures in the elderly. Journal of the American Academy of Orthopaedic Surgeons. March 2017. Roberts SE, Thibaudeau S, Burrell JC, Zager EL, Cullen DK, Levin LS. To Reverse or Not to Reverse? A Systematic Review of Autograft Polarity on Functional Outcomes following Peripheral Nerve Repair Surgery. Microsurgery. 2017 Feb;37(2):169-174. Cho EH, Bauder AR, Centkowski S, Shammas RL, Mundy L, Kovach SJ, Levin LS, Hollenbeck ST. Preoperative platelet count predicts lower extremity free flap thrombosis: A multi-institutional experience. Plastic and Reconstructive Surgery 139(1): 220-230. January 2017. Silvestre J, Ahn J, Levin LS: National Institutes of Health Funding to Departments of Orthopaedic Surgery at U.S. Medical Schools. Journal of Bone and Joint Surgery, 99(2):182. January 2017.
Zimmer ZR, Horneff JG, Taylor RM, Levin LS, Kovach S, Mehta S. Evaluation and treatment of open distal humeral fractures. Journal of Bone and Joint Surgery Reviews. 5(1): e1, 2017. Gu C, Liu F, Guo Z, Luo X, Zhou X, Yan J, Levin LS. Triptolide reduces the required dose of tacrolimus by attenuating inflammation, enhancing immunosuppression, and increasing donor chimerism in a htereotopic hindlimb transplantation model. Journal of Plastic and Reconstructive Surgery 138(6): 1243-1253. December 2016. Kazmers N, Thibaudeau S, Steinberger Z, Levin LS. Upper and lower extremity reconstructive applications utilizing free flaps from the medial genicular arterial system: a systematic review. Microsurgery. 2016 Dec 27. Momeni A, Chang B, Levin LS. Technology and vascularized composite allotransplantation (VCA) lessons learned from the first bilateral pediatric hand transplant. J Mater Sci Mater Med. 2016 Nov;27(11):161. Galvez JA, Gralewski K, McAndrew C, Rehman MA, Chang B, Levin LS: Assessment and planning for a pediatric bilateral hand transplant using 3-dimensional modeling. 2016 Mar;41(3):341-3. Gurnaney HG, Fladjoe JE, Levin LS, Chang B, Delvalle H, Galvez J, Rehman M. Anesthetic management of the first pediatric hand transplant. Canadian Journal of Anesthesia. 2016 Jun;63(6):731-6. Yannascoli SM, Thibaudeau S, Levin LS: Management of Soft Tissue Defects of the Hand. Journal of Hand Surgery Elsevier, Inc. 40: 1237-1244, June 2015. Fan Kenneth L, Patel Ketan M, Mardini Samir, Attinger Christopher, Levin L Scott, Evans Karen K: Evidence to support controversy in microsurgery. Plastic and reconstructive surgery 135(3): 595e-608e, Mar 2015. Tang Juyu, Zhu Hainan, Luo Xusong, Li Qinfeng, Levin L Scott, Tintle Lcdr Scott M: A vascularized elbow allotransplantation model in the rat. J Shoulder Elbow Surg. 2015 May;24(5):779-86. doi: 10.1016/j.jse.2015.01.006. Epub 2015 Mar 19. Cho Eugenia H, Garcia Ryan M, Pien Irene, Kuchibhatla Maragatha, Levinson Howard, Erdmann Detlev, Levin L Scott, Hollenbeck Scott T: Vascular considerations in foot and ankle free tissue transfer: Analysis of 231 free flaps. Microsurgery Mar 2015. Nelson Jonas A, Fischer John P, Grover Ritwik, Kovach Stephen J, Low David W, Kanchwala Suhail K, Levin L Scott, Serletti Joseph M, Wu Liza C: Vein grafting your way out of trouble: Examining the utility and efficacy of vein grafts in microsurgery. Journal of plastic, reconstructive & aesthetic surgery : JPRAS Feb 2015. Luo Xusong, Liu Fei, Wang Xi, Yang Qun, Wang Shoubao, Zhou Xianyu, Qian Yunliang, Yang Jun, Levin Lawrence Scott: Region-oriented and staged treatment strategy in reconstruction of severe cervical contracture. PloS one 10(4): e0122669, 2015. Tintle S, Potter BK, Elliott RM, Levin LS: Hand Transplant. Journal of Bone and Joint Surgery, Vol. 2, No. 1. January 2014. Cleveland EC, Fischer JP, Nelson JA, Wink JD, Levin LS, Kovach SJ: Free Flap Lower Extremity Reconstruction in the Obese Populations: Does Weight Matter? Journal of Reconstructive Microsurgery, Vol. 30, No. 4, pgs. 263270. May 2014. Cho EH, Garcia R, Pien I, Thomas S, Levin LS, Hollenbeck ST: An Algorithmic Approach for Managing Orthopaedic Surgical Wounds of the Foot and Ankle. Clinical Orthopaedics and Related Research, Vol. 473, No. 6, pgs. 1991-1929. June 2014. Su W, Lu L, Lazzeri D, Zhang YX, Wang D, Innocenti MD, Qian Y, Agostini T, Levin LS Messmer C: Contrast Enhanced Ultrasound Combined with Three Dimensional Reconstructions in Preoperative Perforator Flap Planning. Journal of Plastic Reconstructive Surgery, Vol. 131, No. 1, pgs. 80-93. Jan. 2013. Liu F, Xusong L, Shenghui I, Zhang X, Wang S, Kanchwala S, Yang J, Levin LS: Immunosuppression with a Combination of Triptolide and Cyclosporin A in Rat Vascularized Groin Flap Allotransplantation. Journal of Plastic Reconstruction Surgery, Vol 131, No 3, 343e, March 2013. Levin LS, Shaked A, et.al: Perioperative Management of a Patient Scheduled for Bilateral Hand Transplant. Journal of Clinical Anesthesia, Vol. 25(3):224-227. March 2013. Tintle SM and Levin LS: The Reconstructive Microsurgery Ladder in Orthopaedics. Injury International Journal of the Care for the Injured, Vol. 44, Issue 3, pgs. 376-385. March 2013. Zhang YX, Qian Y, PU Z, Ong YS, Messmer C, Li Q, Agostini T, Erdmann D, Levin LS, Lazzeri D: Reverse Bipaddle Posterior Interosseous Artery Perforator Flap. Journal of Plastic Reconstructive Surgery, Vol. 131, No 4, 552e. April 2013. Baccarani A, Follmar KE, Erdmann D, Levin LS: Face Transplantation Surgical Options and Open Problems in Cadaveric Models: A Review Article. Microsurgery, Vol. 33, No. 3, pgs. 239-246. April 2013. Ehanire TE, Blanton MW, Levin LS, Levinson H: Osteocutaneous Defects of the Clavicle: Two Case Reports, Analysis of the Literature, and a Novel Management Algorithm. Journal of Plastic, Reconstructive and Aesthetic Surgery, Vol. 66, Issue 5, pgs. 593-600, April 2013. Zhang YX, Messmer C, Pang FK, Ong YS, Feng SQ, Qian Y, Spinelli G, Agostini T, Levin LS, Lazeri D: A Novel Design of the Multilobed Latissimus Dorsi Myocutaneous Flap to Achieve Primary Donor-site Closure in the Reconstruction of Large Defects. Journal of Plastic Reconstructive Surgery, Vol. 131, No. 5, 752e, May 2013. Zhang YX, Yongjie H, Messmer C, Ong YS, Zan L, Zhou X, Spinelli G. Agostini T, Levin LS, Lazzeri D: Thoracoacromial Artery Perforator Flap: Anatomical Basis and Clinical Applications. Journal of Plastic Reconstructive Surgery. Journal of Plastic Reconstructive Surgery, Vol. 131, No. 5, 759e, May 2013. Levin LS and Gustave L: Aligning Incentives in Health Care: Physician Practice and Health System Partnership. Clinical Orthopaedics and Related Research, Vol. 471, Issue 6, pgs. 1824-1831, June 2013. Haddock NT, Wapner KL, Levin LS: Pedicle and Free Vascularized Bone Transfers to the Foot and Ankle. Techniques in Foot and Ankle Surgery, Vol. 12, No. 2, pgs. 74-78, June, 2013. Tintle SM, Kovach SJ, Levin LS: Free Tissue Transfer to the Foot and Ankle: Perforator Flaps. Techniques in Foot and Ankle Surgery, Vol. 12, No. 2, pgs. 79-86, June, 2013. Levin LS: Soft Tissue Coverage in Foot and Ankle Surgery -Guest Editorial. Techniques in Foot and Ankle Surgery, Vol. 12, No 2, pgs. 56-57. June 2013. Levin LS: Discussion: Known Preoperative Deep Venous Thrombosis and/or Pulmonary Embolus: to Flap or Not to Flap the Severely Injured Extremity? Plastic and Reconstructive Surgery, Vol. 132, No. 1. July 2013. Fischer J, Nelson J, Kovach S, Levin LS, Wu L, Cleveland E, Serletti J: A Retrospective Review of Outcomes and flap Selection in Free Tissue Transfers for Complex Lower Extremity Reconstruction. Journal of Reconstructive Microsurgery, Vol. 29(6):407-416. July 2013. Erdmann D, Garcia R, Blueschke G, Brigman BE, Levin LS: Vascularized Fibula based Physis Transfer for Pediatric Proximal Humerus Reconstruction. Plastic and Reconstructive Surgery, Vol. 132, No. 2. August 2013. Haddock NT, Wapner K, Levin LS: Vascular Bone Transfer Options in the Foot and Ankle: A Retrospective Review and Update on Strategies. Journal of Plastic and Reconstructive Surgery, Vol. 132, No. 3, pgs. 685-693. September 2013. Zelenski N, Brigman B, Levin LS, Erdmann D, Eward W: The Vascularized Fibular Graft in the Pediatric Upper Extremity: A Durable, Biological Solution to Large Oncologic Defects. Sarcoma, Vol. 2013, Article ID 321201. October 2013. Haddock NT, Alosh H, Easley ME, Levin LS, Wapner K: Applications of the Medial Femoral Condyle Free Flap for Foot and Ankle Reconstruction. The Journal of Foot and Ankle International, Vol. 34, No. 10, pgs. 1395-1402. October 2013. Levin LS: The American Society for Surgery of the Hand Council: ASSH Position Statement on Hand Transplantation 2013. The Journal of Hand Surgery, Vol. 38A, No. 11, pgs. 2234-2235. November 2013. Fischer, JP, Elliott, RM, Kozin, SH, Levin LS: Free Function Muscle Transfer for Upper Extremity Reconstruction: A Review of Indications, Techniques, and Outcomes. Journal of Hand Surgery, Vol. 38A, No. 12, pgs 2485-2490. December, 2013. Haddock NT, Chang B, Bozentka DJ, Steinberg DR, Levin LS: Technical Implications in Proximal Forearm Transplantation. Techniques in Hand and Upper Extremity Surgery, Vol. 17(4): 228-231. December 2013. Elliott RM, Baldwin KD, Foroohar A, Levin LS: The Impact of Residency and Fellowship Training on the Practice of Microsurgery by Members of the American Society for Surgery of the Hand. Annals of Plastic Surgery, 2012). Ravindra K, Haeberle M, Levin LS, Ildstad ST: Immunology of Vascularized Composite Allotransplantation: A Primer for Hand Surgeons. Journal of Hand Surgery, Vol. 37A (4): 842-850, April 2012. Muschler G, Valerio I, Levin LS, Siemionow M, Lowenberg D, Tribble D, Gordon W: Extremity War Injuries VII Reconstruction Panel. Journal of the American Academy of Orthopaedic Surgery, Vol. 20, Suppl., 574-579. August 2012. Scolaro JA, Namdari S, Levin LS: The Value of an Annual Educational Retreat in the Orthopaedic Residency Training Program. Journal of Surgical Education, Jan/Feb 2013, Vol. 70(1). Anakwenze OA, Milby AH, Gans I, Stern JJ, Levin LS, Wapner KL: Foot and Ankle Infections: Diagnosis and Management. Journal of the American Academy of Orthopaedic Surgeons, Vol. 20, No 11, pgs. 684-693 Oct. 2012. Levin LS & Arlet V: Expert’s Comment Concerning Grand Rounds Case entitled “Staged Corrective Surgery for Complex Adolescent Kyphoscoliosis Caused by Back Scalding During the Childhood Period. European Spine Journal, Springer-Verlag Nov. 4, 2012. Erdmann D, Eward W, Brigman B, Levin LS. Upper extremity reconstruction after sarcoma resection. 57th Congress of the Deutschen Gesellschaft fur Handchirurgie/American Association for Hand Surgery, Frankfurt, Germany. September 22-24, 2016. Cendales L, Levine M, Barlett S, Cheeseman J, Drachenberg C, Hancock W, Joshi M, Kirk AD, Leoopardi F, Levin LS, Uluer M, Selim A, Song M, Twaddell W, Wang Z, Barth R. Skin as a Harbinger of Rejection of Underlying Structures in Vascularized Composite Allografts: Concordance or Discordance? American Transplant Congress, Boston, MA. June 2016. Thibaudeau S, Gerety P, Kazmers N, Levin LS. The versatility fo the medical femoral condyle flap: One surgeon’s experience. American Association of Plastic Surgeons and Plastic Surgery Countcil Joint Meeting, New York, NY. May 19-22, 2016. Wang L, Samanta A, Huang J, Bhatti TR, Han R, Wang Z, Levin LS, Levine M, Hancock W. Clinically relevant anti-TCR mAb induction plus brief rapamycin therapy can achieve long-term vascularized composite allograft (VCA) survival. 2015 American Transplant Congress. May 5, 2015. Wang L, Samanta A, Huang J, Bhatti TR, Han R, Wang Z, Levin LS, Levine M, Hancock W. Peritransplant costimulation blockade and rapamycin therapy induces permanent limb allograft survival. 2015 American Transplant Congress. May 5, 2015. Wang L, Huang J, Han R, Bhatti TR, Wang Z, Levin LS, Levine MH, Hancock WW. Use of a Clinically Relevant T Cell Depletion Strategy (Anti-TCR mAb) to Promote Long-Term Hindlim Vascularized Composite Allograft (VCA) Survival. 17th Congress of the International Hand and Composite Tissue Allotransplantation Society. Philadelphia, PA. April 17, 2015. Wang L, Huang J, Han R, Bhatti TR, Wang Z, Levin LS, Levine MH, Hancock WW. Brief Peri-transplant Therapy with CD40L, Donor Splenocyte Transfusion (DST) and Rapamycin (RPM) Causes Long-Term Hindlimb Vascularized Composite Allograft (VCA) Survival without a Need for Maintenance Immunosuppression. 17th Congress of the International Hand and Composite Tissue Allotransplantation Society. Philadelphia, PA. April 17, 2015. Clement RC, Soo AE, Kheir MM, Derman PB, Flynn DN, Levin LS, Fleisher L: What Incentives are Created by Medicare Payments for Total Knee Arthroplasty? American Academy of Orthopaedic Surgeons. March 2015 Notes: Accepted for presentation at the AAOS Annual Meeting, Las Vegas, NV. Levin LS, et.al: Are there Identifiable Risk Factors or Causes Associated with Unplanned Readmission Following TKA? (Accepted for presentation at the AAOS Annual Meeting, New Orleans, LA. (March 13, 2014). Schenker, ML, Baldwin, KD, Israelite, C, Levin, LS, Mehta, S, Ahn, J: Making the Right Match: A Semi-Structured Interview for Orthopaedic Resident Selection. 126 Annual Meeting of the American Orthopaedic Association. June 12-15, 2013. Hand Transplantation. Techniques in Hand and Upper Extremity. 2014. Soft Tissue Reconstruction. Clinical Orthopaedics and Related Research. 2014. Sports Injuries-Traumatic Injuries of the Hand and Wrist. Editors: Steinberg DR, Tintle S, Bozentka DR, Levin LS. (Accepted for publication in Springer 2014). Soft Tissue Coverage in Foot and Ankle Surgery. Guest Editorial: Levin LS. Techniques in Foot and Ankle Surgery, Vol. 12, No 2, pgs. 56-57. June 2013. Hand Surgery Worldwide. Editors: Urbaniak JR, Levin LS, Baek G, Soucacos P. Springer. Konstantaras Medical Publications, 2011. Complications in Orthopaedics, Complications of open fractures. AAOS. Editor: Levin LS (2009). Clinical Orthopaedics and Related Research. Medico legal issues: Guest Editor: Levin LS. Lippincott Williams & Wilkins. April 2005. Decision Making in Reconstructive Surgery: Upper Extremity, Gunter, G, Sherman R, Levin LS. Springer Verlag. 1999. Atlas of the Hand Clinics. Local Flap Coverage about the Hand. Guest Editors: L.S. Levin, G. Germann. W.B. Saunders Company. 1998. Georgiade’s Essentials of Plastic Surgery. Editors: Georgiade G, Georgiade N, Riefkohl R and Levin LS. Williams and Wilkins. 1996. Techniques in Orthopaedics. Soft-Tissue Principles for Orthopaedic Surgeons. Issue, Editor: L. Scott Levin, Vol. 10 No. 2. Lippincott-Raven. 1995. The Wrist. Problems in Plastic and Reconstructive Surgery. Guest Editor: L.S. Levin, J. B. Lippincott Company. 1992. Momeni A, Kovach SJ, Levin LS. Skeletal Reconstruction. Plastic Surgery 4th Edition. Elsevier Ltd, editors: Peter Nelligan, David Song, 2016. Bibbo C, Kovach SH, Levin LS: Limb Salvage Techniques Following Failed Total Ankle Replacement. Primary and Revision Total Ankle Replacement, Evidence-Based Surgical Management. Roukis TS, Berlet GC, Bibbo C, Hyer CF, Penner MJ, Wunschel M, Prissel MA (Eds.) Chapter 35, pp. 407 413. Springer, 2016. Tintle SM, Steinberg DR, Bozentka DJ, Levin LS: Common Soft Tissue Injuries of the Hand. Sports Injuries: Prevention, Diagnosis, Treatment and Rehabilitation. Doral MN, Karlsson J (Eds. ), Chapter 50, pp. 641-652. Springer 2015. Advanced Reconstruction, Foot and Ankle 2. Editors: Alexander IJ, Bluman EM, Greisberg JK. Haddock NT, Levin LS, Bluman EM, Wapner KL. Ankle Fusion in the Setting of Bone Loss. Section 4, Chapter 27. American Orthopaedic Foot & Ankle Society/AAOS, 2015. Lowenberg DW, Watson JT, Levin LS: Advances in Understanding and Treatment of Musculoskeletal Infections. Instructional Course Lectures. Section 1, Chapter 4. American Academy of Orthopaedic Surgeons, 2015. Levin LS. Rotational and Pedicle Flaps for Coverage of Distal Upper Extremity Injuries. Operative Techniques in Orthopaedic Surgery, Chapter 103. Lippincott Williams & Wilkins, 2015. Ala O, Johnson TS, Levin LS: Wrist Pathology. Plastic and Reconstructive Surgery: Approaches and Techniques, First Edition. Chapter 62. John Wiley & Sons, Ltd. June 2015. Sports Injuries-Traumatic Athletic Injuries of the Hand and Wrist. Editors: Tintle S, Steinberg DR, Bozentka DR, Levin LS. Springer, 2014. Tahernia, AH and Levin LS: Lower Extremity Reconstruction. Current Reconstructive Surgery. Chapter 63, pgs. 749-761. 2013, Serletti, et al. Kovach, SJ and Levin LS: Skeletal Reconstruction. Plastic Surgery 3rd Edition Lower Extremity, Trunk and Burns. Vol 4, Chapter 7, pgs 174-188, 2013. Elsevier/Saunders. ISBN: 987-1-4557-1055-3. Levin LS: Orthoplastic Surgery. Textbook on Orthopaedic Surgery by Hirase, January 2013. Levin LS and Kovach S: Vascular Bone Transfers. Plastic Surgery 3rd Edition, by Neligan, PC. (2011). Germann G, Biedermann, N, Levin LS: Intrinsic Flaps in the Hand. Functional Hand Reconstruction, Clinics in Plastic Surgery. Vol. 38, No 4, Pgs 729-738, October 2011. Walsh MD, Murray JC, Levin LS, Levinson H: Surgical Excision, Radiotherapy, and Intralesional Steroids. Surgical Techniques for Cutaneous Scar Revision, (2010). Levin LS, Boyer MI, Bozentka DJ, Pill SG, Azari KK, Castillo N, Gupta A: Skin and Soft Tissue. ASSH Manual of Hand Surgery, May, 2010, pgs 393-424. Levin LS, Wittstein JR, Moorman CT: “Chronic Exertional Compartment Syndrome” Operative Techniques in Orthopaedic Surgery, Chapter 55, July 2010. Walsh MD, Murray JC, Levin LS, Levinson H: Surgical Excision, Radiotherapy and Intralesional Steroids.” Surgical Techniques for Cutaneous Scar Revision. Harahap, M, Editor, 2010. Coan BS, Levin LS: Compartment Syndrome and Ischemic Contracture in the Upper Extremity. Plastic Surgery Secrets Plus. Weinzweig, Second Edition, Pgs. 876-879. Mosby Editor, (2010). Walsh M, Zenn M, Levin LS: Trunk Reconstruction. Plastic and Reconstructive Surgery, 2010. Edited by M Siemionow. Levin LS: In Their Own Words - The Magic of this Place. Reconstructive Microsurgery at Duke, Duke Microsurgery Program, (2009). Lewis G, McCllellan W, Richard M, Levin LS: Rotational Pedicle Flaps for Coverage of the Distal Upper Extremity Injuries. Operative Techniques in Orthopaedic Surgery. (2009). Levin LS, Baumeister S, “Atlas of Flaps and Microsurgical Techniques”. Lower Extremity, Chapter 7, Pgs. 63-70, 2009. Editor: Fu-Chan Wei and Samir Mardini. Richard M, Lewis G, Levin LS: “Revascularization and Replantation of the Digits” Operative Techniques in Orthopaedic Surgery. (Submitted). Baumeister S, Levinson H, Zenn M, Levin LS: “Extremity Reconstruction” Principles of Cancer Reconstructive Surgery. Springer. Chapter 11, pp.190-214. 2008. Levin LS, Baccarani A: “Flap Coverage for the Foot” Soft Tissue Surgery. Master Techniques in Orthopaedic Surgery. Chapter 34, pp. 431-448. 2008. Tahernia A, Levin LS: “Reconstruction of the Lower Extremity” General Reconstructive Plastic Surgery. Evans et al. Chapter 5, pp. 47-58. 2008. Walsh M, Levin LS: “Composite free tissue transfer/toe to hand”. Flap Reconstruction of the Upper Extremity: A Master Skills Publication. (ASSH). Walsh M, Levin LS: “Gracilis Free Flap” Flap Reconstruction of the Upper Extremity: A Master Skills Publication. (ASSH). Levin LS: “Vascularized Bone Grafting”. AO Manual of soft-tissue management in orthopaedic trauma, 1st edition. (AO Foundation Publishing - Submitted). Isaacs J, Levin LS: Pedicled and Free Tissue Transfer for the Treatment of Recalcitrant Neuralgia Upper Extremity Nerve Repair – Tips and Techniques: A Master Skills Publication, Editor: Slutsky. Chapter 40,pp. 509-520. 2008. McClellan W, Levin LS: “Wound Bed Preparation Prior to Flap Coverage” Surgical Wound Healing and Management. Chapter 9, pp. 83-90. 2007. Kovach S, Levin LS: “Treatment of Recalcitrant Venous Ulcers with Free Tissue Transfer for Limb Salvage” VENOUS ULCERS John Bergan & Cynthia K. Shortell Editors. Section IV: Special Topics. Chapter 19, pp. 261-274. 2007. Moyer K, Levin LS: “Free Tissue Reconstruction” The Achilles Tendon: Treatment and Rehabilitation. Springer. Editor: Nunley. 2007. Levin LS: “Orthoplastic Reconstructive of the Arms and Legs. Tissue Surgery: Orthoplastic Reconstructive Surgery. Editor: Maria Siemionow, Eva Senior-Springer Verlag. Pg. 1-11, 2006. Heller L, Levin LS: “Bone and Soft Tissue Reconstruction” Rockwood and Green’s Fractures in Adults., Heckman and Bucholz, Editors, Lippincott Williams & Wilkins, Volume 2, pg. 497-548, 2006. Levin LS, Baumeister S: “Head and Neck Reconstruction”. First Exposure in Surgery. S. McGraw-Hill. Chapter 17, pp.341-367. 2006. Levin LS, Baumeister S: “The Operating Room” First Exposure in Surgery. McGraw-Hill. Chapter 5, pp. 85-90. 2006. Tahernia A, Levin LS: “Current Concept in Lower Extremity Reconstruction” Current Concepts of Reconstructive Surgery. Serletti et al. 2006. Katz M, Levin LS, Goldner, RD, Urbaniak JR.: “Microvascular Hand Surgery” Review of Hand Surgery, Beredjiklian and Bozentka (Eds.) Saunders, Philadelphia, PP 156-170, 2004. Levin LS: “Management of Postoperative Wound Complications” Advanced Reconstruction Foot and Ankle, Nunley, Pfeffer, Sanders, Trepman (Editors) Section 7, pg. 355-361. 2004. Heaps RJ, Levin LS: Hand Fractures. Principles and Practice of Orthopaedic Sports Medicine. Garrett, Speer and Kirkendall Editors, Lippincott Williams & Wilkins, 2004. Heitmann C, Levin LS: Lower Extremity Reconstruction. Seminars in Plastic Surgery. Volume 17, Number 1, 2003. Heitmann C, Levin LS: Pedicled muscle and musculo-cutaneous flaps. In Masquelet AC, Castanheira A (editors) Severe and Traumatic Defects in the Upper Limb, Published 2003. Harvey E, Levin LS: Principles of open hand injuries. Oxford Textbook of Orthopaedics and Trauma, Oxford University.2003. Zenn MR, Levin LS: Microvascular Reconstruction of the Lower Extremity. Seminars in Surgical Oncology 2000. Wiley-Liss, Inc. Published 2002. Levin LS, Moorman G, Heller L: Management of skin grafts and Flaps. Fifth Edition, Hunter-Mackin-Callahan Rehabilitation of the Hand and Upper Extremity. Mackin, Callahan, Osterman, Skirven, Schneider Editors, Mosby. Published 2002. Levin LS, Harvey E: Reconstructive Surgery: Skeletal Reconstruction. Second Edition, Plastic Surgery, Mathes and Hentz Editors, W.B. Saunders. 2002. Levin LS, I Tumori Cutanei Della Mano. Chirurgia Della Mano 2nd Edition Italian. Terry R. Light, Ed. CIC Edizioni Internazionali – Roma 2002. Levin LS, Aponte R, Heller L: Free Tissue Transfer. Third Edition, Chapman’s Orthopaedic Surgery. Chapman, Editor, Lippincott Williams & Wilkins, Publishers, June 2000. Levin LS: Cutaneous Tumors of the Hand: Hand Surgery Update. American Academy of Orthopaedic Surgeons, 1999, Chapter 35, pg. 359-368. Levin LS: Biological reconstruction of pediatric bone tumors. The Growing Hand. Luis Schecker M.D., Editor, C.V. Mosby. 1999. Levin LS: Guidelines for Soft tissue Coverage of Complex Foot and Ankle Injuries. Complex Foot & Ankle Trauma. Ed: Adelaar R. Lippincott-Raven, Philadelphia, Chapter 20, pp. 257-268. 1999.Jacobs LM, Levin LS: Soft Tissue Injuries. Emergency Care and Transportation of the Sick and Injured. American Academy of Orthopaedic Surgeons, Seventh Edition , Jones and Bartlett Publishers, Massachusetts, Chapter 26, pg. 568-591. Moore RS, Aponte R, Levin LS: Vascular Injuries of the Wrist and Hand. Orthopaedic Surgery: The Essentials. Ed: ME Baratz, AD Watson, JE Imbrigilia. Thieme Medical Publishers, Inc. New York, Chapter 30, 1999. Harvey E, Levin LS: Reconstruction after infection. Skeletal reconstruction. Friedlander And Ross, Editors, Arnold Publishers, England. Maier, S, Levin LS: Reconstruction of Complex Soft Tissue Injuries about the Shoulder. W. B. Saunders 1998. Levin LS: First aid for hand injuries: Occupational Medicine - Hand Injuries. Morton Kasdan, M.D., Editor. Hanley and Belfus, Inc. 1998. 2nd. Edition, Chapters 23, pp. 257-267. Levin LS, Aponte R: The Use of Spare Parts in Surgery of the Hand. Atlas of the Hand Clinic. Guest Editor, W.B. Saunders Company, September 1998. pg. 235-252. Levin LS, Aponte R: Tissue Expansion in the Upper Extremity. Atlas of the Hand Clinic , W..B. Saunders Company, September 1998. pg. 253-260. Levin LS: First Aid for Hand Injuries. Occupational Hand and Upper Extremity Injuries and Diseases. Second Edition. Ed: Morton Kasdan. Hanley and Belful, Inc., Chapter 23, pg. 257-267, 1998. Levin LS: Atlas of the Hand Clinics. Spare Parts Surgery. Local Flaps About the Hand. W.B. Saunders, Philadelphia, Pennsylvania. Vol. 3, No. 2, pp. 235-252. September 1998. Levin LS and Garrett WE: Fractures of the Tibia, Fibula, Ankle and Foot. Textbook of Surgery: The Biological Basis of Modern Surgical Practice. Fifteenth Edition. Ed: David C. Sabiston, Jr., M.D., W.B. Saunders, Chapter 42, pg. 1444-1452, 1997. Levin LS: Reconstructive Plastic Surgery. Essentials of Surgery: Scientific Principles and Practice. Ed: Greenfield, LJ, Mulholland MW, Oldham KT, Zelenock GB, Lillemoe KD. Lippincott-Raven. Philadelphia. Chapter 109, pg. 798-802, 1997. Levin LS: Latissimus Dorsi Muscle-musculocutaneous Flap. Atlas of Microsurgical Composite Tissue Transplantation. Ed: Serafin D. J.B. Lippincott, XVI, 218-219, 1996. Levin LS, Myers S: Cutaneous Tumors of the Hand. Surgery of the Hand and Upper Extremity. Ed:Peimer C, McGraw Hill, Vol. II, Chapter 101, pg. 2265-2284, 1996. Levin LS: Reconstructive Plastic Surgery. Surgery: Scientific Principles and Practice of Surgery. Second Edition. Ed: Greenfield LJ, Mulholland M, Oldham KT, Zellenock GB, Lillemoe KD, Lippincott-Raven, Philadelphia. Chapter 114, pp. 2280-2289, 1996. Levin LS: Muscle and musculocutaneous Flaps. Georgiade’s Essentials of Plastic Surgery...Ed: Gregory Georgiade, Nicholas Georgiade, Ron Riefkohl and L. Scott Levin. Williams and Wilkins, Baltimore. Chapter 85 pp. 932-939, 1996. Levin LS: Muscle and Omental Flaps for Mediastinitis. Atlas of Cardiothoracic Surgery. W.B. Saunders, Philadelphia. Section VII: 119-129, 1995. Levin LS, Barwick W: Scalp Injuries. Textbook of Neurosurgery. Ed: Robert Wilkins M.D., McGraw Hill, New York. (Vol 2): 2727-2737, 1995. Levin LS: Fractures and Dislocations. Sabiston Essentials of Surgery, Second Edition. Ed: David C. Sabiston, Jr., M.D. and H. Kim Lyerly, M.D. W.B. Saunders Co. 41: 497-516, 1994. Levin LS: The Skin. Sabiston Essentials of Surgery, Second Edition. Ed: David C. Sabiston, Jr., M.D. and H. Kim Lyerly, M.D. W.B. Saunders Co. 42: 517-519, 1994. Levin LS, Pederson WC, Barwick WJ: Muscle and Musculocutaneous Flap: Textbook of Plastic and Reconstructive Surgery, Ed: Georgiade G, Georgiade N, Riefkohl R, Barwick W. Williams and Wilkins, Baltimore, 1992. Garrett WE, Levin LS: Fractures of the Tibia, Fibula, Ankle and Foot. Fourteenth Edition, Textbook of Surgery, Chapter VII, pg. 1337-1344, 1991. Levin LS: First Aid for Hand Injuries in Occupational Injuries and Diseases of the Upper Extremity. Ed: Kasdan Morton. Hanley and Belfus, Inc., Philadelphia Pg. 131-142, 1991. Levin LS: Replantation. Handbook of Surgical Intensive Care: Practices of the Surgery Residents at the Duke University Medical Center. Second Edition. Surgical Residents, Duke University Medical Center, Chicago, Yearbook Medical Publishers, Chapter 12, Sect. 7, pp. 665-672, 1989. Levin LS: Experience and Observations of the Hiroshima University Department of Orthopaedics, Summer, 1997. In a special issue in commemoration of the retirement of Kenya Tsuge, Hiroshima University Press, 1985. Levin LS. Faculty. Symposium on Orthoplastic Lower Extremity Reconstruction, Principles, Techniques, Applications and Live Surgery. Asan Medical Center, Seoul, Korea. December 15-17, 2016. Levin LS. Mercian S&T Lecture: Orthoplastic extremity reconstruction – Replantation to transplantation and the legacy of Gillies. Winter Scientific Meeting, British Association of Plastic Reconstructive and Aesthetic Surgeons, London, UK. November 23-25, 2016. Levin LS. The evolution of orthoplastics. Winter Scientific Meeting, British Association of Plastic Reconstructive and Aesthetic Surgeons, London, UK. November 23-25, 2016. Levin LS. Allotransplantation of the arm: Perspectives and outcome of a personal experience. International Master Symposium on Frontiers, Controversies and Reconstructive and Regenerative Surgery. University Hospital Basel, Basel, Switzerland. November 11-12, 2016. Levin LS. Speed Round: Update of all Active International Centers. VCA: Hand, Face and Beyond. American Society for Reconstructive Transplantation, Drake Hotel, Chicago, IL. November 3-5, 2016. Levin LS. New Ways to Approach VCA: Lessons learned from Industry. VCA: Hand, Face and Beyond. American Society for Reconstructive Transplantation, Drake Hotel, Chicago, IL. November 3-5, 2016. Levin LS. VCA Controversies - Pediatric Tranplantation. VCA: Hand, Face and Beyond. American Society for Reconstructive Transplantation, Drake Hotel, Chicago, IL. November 3-5, 2016. Levin LS. Scaphoid reconstruction with the medial femoral condyle graft. Duke Hand Club 2016 Meeting, Patagonia, Argentina. November 2, 2016. Levin LS. Best Free Flaps and Tissue Transfers for the Upper Extremity. International Federation of Societies for Surgery of the Hand, 2016 Triennial Congress, Buenos Aires, Argentina. October 24 – 28, 2016. Levin LS. Hand allotransplanation Update. Mayo Clinic/Chang Gung Symposium in Reconstructive Surgery, Munich, Germany. Live videoconference. October 19, 2016. Levin LS. Microvascular salvage of the diabetic foot. American College of Surgeons 102nd Clinical Congress, Washington, DC. October 16 – 20, 2016. Levin LS. Mangled Extremity Evaluation and Management. Mini Symposium. 2016 Orthopaedic Trauma Assocation Annual Meeting, Gaylord National Harbor, MD. October 5-8, 2016. Levin LS:”If I only had a ...” The exciting world of vascular composite allografts: The new organs. There’s No Place Like Hope, Organ, Eye and Tissue Donation Educational Summit. Boar’s Head Inn, Charlottesville, VA. October 4, 2016. Levin LS. Vascularized Fibula (demo). 71st American Society for Surgery of the Hand Annual Meeting, Austin, TX. September 26 – October 1, 2016. Levin LS. The Reconstructive Ladder. 71st American Society for Surgery of the Hand Annual Meeting, Austin, TX. September 26 – October 1, 2016. Levin LS. Medial Femoral Corticoperiosteal Flap - Contemporary Perspectives in Advances in Vascularized Bone and Joint Transfer. 71st American Society for Surgery of the Hand Annual Meeting, Austin, TX. September 26 – October 1, 2016. Levin LS. From the ER to the OR: The Need for Centers of Excellence for Replantation. 71st American Society for Surgery of the Hand Annual Meeting, Austin, TX. September 26 – October 1, 2016. Levin LS. Radial Forearm (anterograde and reverse) Flaps. 71st American Society for Surgery of the Hand Annual Meeting, Austin, TX. September 26 – October 1, 2016. Levin LS. Orthoplastic Surgery: The Soft Tissue Reconstruction Ladder. 2016 SIGN International Orthopedic Conference, Richland, WA. September 24, 2016. Levin LS: Soft tissue problems: When, Where, and What to Flap. Masters of Disaster, Managing Osteomyelitis in the 21st Century. Fours Seasons, Baltimore, MD. August 25, 2016. Levin LS. Bringing Coverage and Blood Supply Where Needed. Symposium XV: Infections and AVN. AOFAS Annual Meeting, Toronto, Canada. July 23, 2016. Levin LS. Bringing Coverage and Blood Supply where Needed. American Orthopaedic Foot & Ankle Society Annual Meeting 2016, Toronto, Ontario, Canada. July 20 -23, 2016. Levin LS. “Reconstruction of the Amputated Thumb and Fingers – Conclusion.” Federation of European Societies for Surgery of the Hand (FESSH) Santander 2016, Santander, Spain. June 22 – 25, 2016. Levin LS. “Update on Allotransplantation.” Federation of European Societies for Surgery of the Hand (FESSH) Santander 2016, Santander, Spain. June 22 – 25, 2016. Cendales L, Levine M, Bartlett S, Sheeseman J, Drachenberg C, Hancock W, Joshi M, Kirk AD, Leopardi F, Levin LS, Methmet C, Selim A. Song M, Twaddell W, Wang L, Wang Z, Barth R. Skin as a harbinger of rejection of underlying structures in VCA: Concordance or Discordance? American Transplant Congress, Boston, MA. June 11 - 15, 2016. Gurnaney HG, Fladjoe JE, Levin LS, Chang B, Delvalle H, Galvez J, Rehmah M. Anesthetic management of the first pediatric hand transplant. Society for Pediatric Anesthesia, Colorado Springs, CO. April 1 -3, 2016. Levin LS. “Ethics and Current Status of Hand Transplantation.” 2016 Combined Australian Hand Surgery Society and American Society for Surgery of the Hand Meeting, Sydney, Australia. March 29 – April 2, 2016. Levin LS. “From Replantation to Transplantation – The Microsurgical Legacy of Bernard O’Brien.” The Bernie O’Brien Oration. 2016 Combined Australian Hand Surgery Society and American Society for Surgery of the Hand Meeting, Sydney, Australia. March 29 – April 2, 2016. Levin LS. Nerve Reconstruction: Side-to-Side or You Decide (Panel) - Gunshot Wounds. 18th Annual Hand Surgery Symposium, Philadelphia Marriott Downtown Hotel, Philadelphia, PA. March 12 -14, 2016. Levin LS: First Bilateral Hand Transplant in a Child – A True Team Event. 27th Health Care Risk Management Conference, New York Hilton Midtown, NY. March 2, 2016. Levin LS. Open Fractures – Principles of Managment. 2016 American Academy of Orthopaedic Surgeons, Orlando, FL. March 1 – 5, 2016. Levin LS. The Way I See I…Hand transplantation. 2016 American Academy of Orthopaedic Surgeons, Orlando, FL. March 1 – 5, 2016. Levin LS. The Way I See It…Orthopaedists Changing the Game: Hand Transplantation. 2016 American Academy of Orthopaedic Surgeons, Orlando, FL. March 1 – 5, 2016. Clement RC, Soo A, Kheir MM, Derman P, Flynn DN, Levin LS, Fleisher LA. How will the Financial Incentive to Provide THA for High-risk Patients Change with Bundled Payments? 2016 American Academy of Orthopaedic Surgeons, Orlando, FL. March 1 – 5, 2016. Clement RC, Soo A, Kheir MM, Derman P, Flynn DN, Levin LS, Fleisher LA. How will the Financial Impact of Major Medical Complications after TKA Change with Bundled Payments? 2016 American Academy of Orthopaedic Surgeons, Orlando, FL. March 1 – 5, 2016. Clement RC, Soo A, Kheir MM, Derman P, Flynn DN, Levin LS, Fleisher LA. Medicare Payments for THA create a Financial Incentive Favoring Low-risk Patients. 2016 American Academy of Orthopaedic Surgeons, Orlando, FL. March 1 – 5, 2016. Silvestre J, Levin LS: Online Reviews of Hand Surgeons. Electronic poster. 2016 American Association of Hand Surgery Annual Meeting, Westin Kierland Hotel, Scottsdale, AZ. January 13 – 16, 2016. Chang B, Levin LS: Bilateral Hand Transplantation. 32nd Northeastern Society of Plastic Surgeons. Westin Hotel, Philadelphia, PA. September 19, 2015. Levin LS. 2015 Weiland Medal Presentation. 70th Annual American Society for the Surgery of the Hand, Seattle, WA. September 8-12, 2015. Del Pinal F, Sabapathy SR, Levin LS, Stevanovic MV (faculty). Acute and Secondary Reconstruction of the Mangled Hand. 70th Annual American Society for the Surgery of the Hand, Seattle, WA. September 8-12, 2015. Levin LS. The Future is Now: Prosthetics versus Hand Transplantation for the Treatment of Upper Extremity Amputations - The Risks and Benefits of Hand Transplantation. 70th Annual American Society for the Surgery of the Hand, Seattle, WA. September 8-12, 2015. Levin LS. Restoirng Function after Devastating Nerve Injuries – Free Muscle Transfers. 70th Annual American Society for the Surgery of the Hand, Seattle, WA. September 8-12, 2015. Levin LS. The Power of One: Making a Difference in Our Political System – Working with Other Organizations for Advocacy, American College of Surgeons. 70th Annual American Society for the Surgery of the Hand, Seattle, WA. September 8-12, 2015. Levin LS. Workhorse Upper Extremity Flaps – Radial forearm flap. 70th Annual American Society for the Surgery of the Hand, Seattle, WA. September 8-12, 2015. Levin LS. The Complete Hand Surgeon: Flaps You Should Know After Fellowship – Lateral Arm Flap (demo). 70th Annual American Society for the Surgery of the Hand, Seattle, WA. September 8-12, 2015. Levin LS. The Complete Hand Surgeon: Flaps You Should Know After Fellowship - Radial Forearm Flap, Posterior Interosseous Flap. 70th Annual American Society for the Surgery of the Hand, Seattle, WA. September 8-12, 2015. Levin LS. The Complete Hand Surgeon: Flaps You Should Know After Fellowship - The Reconstructive Ladder. 70th Annual American Society for the Surgery of the Hand, Seattle, WA. September 8-12, 2015. Levin LS. “Harvest of Medial Femoral Condyle Bone Flap for Scaphoid Non-Union.” Spring Scientific Meeting, British Society for the Surgery of the Hand. April 30 & May 1, 2015. Levin LS. “Evolution of Microsurgical Bone Transplantation.” Spring Scientific Meeting, British Society for the Surgery of the Hand. April 30 & May 1, 2015. Levin LS. “History of Upper Extremity Salvage Using Microsurgical Techniques.” Spring Scientific Meeting, British Society for the Surgery of the Hand. April 30 & May 1, 2015. Thibaudeau S, Gerety P, Levin LS: An Algorithmic Approach to the Microsurgical Treatment of Chronic Ischemia of the Hand: A Review of the Literature and Survey of Treating Physicians. American Association of Plastic Surgeons, 94th Annual Meeting, Scottsdale, AZ. April 11 – 14, 2015. Levin LS. Advances in Treatment and Understanding of Musculoskeletal Infections. American Academy of Orthopaedic Surgeons, Las Vegas, NV. March 27, 2015. Carter RC, McAuliffe C, Kheir MM, Derman P, Flynn DN, Speck R, Levin LS, Fleisher LA. What are the Economic Consequences of Unplanned Readmissions following Total Hip Arthroplasty? American Academy of Orthopaedic Surgeons, Las Vegas, NV. March 26, 2015. Carter RC, Kheir MM, Derman P, Speck R, Flynn DN, Levin LS, Fleisher LA. What Incentives Are Created by Medicare Payments for Total Knee Arthroplasty? American Academy of Orthopaedic Surgeons, Las Vegas, NV. March 26, 2015. Levin LS: “The Effectiveness of Free Vascularized Fibular Grafts in Osteonecrosis of the Femoral Head and Neck: A Systematic Review.” World Society for Reconstructive Microsurgery, Mumbai, India. March 19, 2015. Levin LS. “Orthoplastic Surgery, A 25 Year Evolution.” Plastic Surgery at the Red Sea - An Aesthetic and Reconstructive International Symposium, Eilat, Israel. March 11–14, 2015. Levin LS. Closing the Released Compartment. 17th Annual Hand Surgery Symposium, Breaking Bad – Upper Extremity Trauma in the Age of Obama. Philadelphia, PA. March 7-9, 2015. Levin LS. The Mangled Hand. Alternatives to thumb replantation. 17th Annual Hand Surgery Symposium, Breaking Bad – Upper Extremity Trauma in the Age of Obama. Philadelphia, PA. March 7-9, 2015. Levin LS. Kite Flap and the Homo Digital Flap. 17th Annual Hand Surgery Symposium, Breaking Bad – Upper Extremity Trauma in the Age of Obama. Philadelphia, PA. March 7-9, 2015. Levin LS. Perspectives on Upper Extremity Trauma in the USA. 17th Annual Hand Surgery Symposium, Breaking Bad – Upper Extremity Trauma in the Age of Obama. Philadelphia, PA. March 7-9, 2015. Levin LS. Hand Transplantation. 41st Annual Symposium Surgery and Rehabilitation of the Hand, Philadelphia, PA. March 7-10, 2015. Levin LS. Advances in Wound Coverage. 41st Annual Symposium Surgery and Rehabilitation of the Hand, Philadelphia, PA. March 7-10, 2015. Ligh CA, Nelson JA, Fischer JP, Kovach SJ, Levin LS: The Effectiveness of Free Vascularized Fibular Grafts in Osteonecrosis of the Femoral Head and Neck: A Systematic Review. American Society for Reconstructive Microsurgery, Annual Meeting, Paradise Island, Bahamas. January 27, 2015. Butala P, Cho J, Blau J, Levinson H, Erdmann D, Levin LS, Hollenbeck S: Platelet Count as a Predictor of Lower Extremity Free Flap Thrombosis: An Analysis of 416 Cases. American Society for Reconstructive Microsurgery, 2015 Annual Meeting, Paradise Island, Bahamas. January 27, 2015. Zhang Y, Zheng H, Lazzeri D, Levin LS: Revisiting the Vascular Anatomy of the Distal Anteromedial Thigh: The Feasibility of Quickly Locating the Distal Perforator of the Descending Genicular Artery. American Society for Reconstructive Microsurgery, Annual Meeting, Paradise Island, Bahamas. January 26, 2015. Tintle SM, Tang J, Levin LS: Vascularized Composite Elbow Transplantation in Rats. American Society for Reconstructive Microsurgery, Annual Meeting, Paradise Island, Bahamas. January 25, 2015. Zhang YX, Feng S, Su W, Li Z, Ong YS, Zenn MR, Levin LS: The Chest Perforator Flap: Proximal/Distal Internal Mammary Artery Perforator Flap (IMAPF) versus Thoracoacromial Artery Perforator Flap (TAAPF). American Society for Reconstructive Microsurgery, Annual Meeting, Paradise Island, Bahamas. January 25, 2015. Zhang YX, Li Z, Zhou X, Zheng H, Feng S, Zenn MR, Levin LS, Lazzeri D: A New Option with the Pedicle Thoracoacromial Artery Perforator Flap for Hypopharyngeal Reconstruction. American Society for Reconstructive Microsurgery, Annual Meeting, Paradise Island, Bahamas. January 25, 2015. Levin LS: Clinical Case Panel – Hand Transplant Outcomes and Future of VCA, SOMOS Meeting, Scottsdale, AZ. December 18, 2014. Levin, LS: Update on Upper Extremity Transplantation. American College of Surgeons Meeting, Moscone Convention Center, San Francisco, CA. October 25-29, 2014. Levin LS: Hand and Face Transplantation – The Future of Vascular Composite Allografts (VCA). Gift of Life Symposium, Sheraton Hotel, Philadelphia, PA. October 24, 2014. Levin LS: Hand Transplantation- Anatomy Matters. American Society of Plastic Surgical Nurses Conventions. Westin River North Hotel, Chicago, IL. October, 13, 2014. Levin LS: Short and Long Term Outcomes in VCA. World Transplant Congress Meeting, Moscone West Convention Center, San Francisco, CA. July 30, 2014. Ahn A, Baldwin KD, Israelite C, Levin LS, Mehta S, Schenker ML: Selecting the Best and Brightest: A Systematic Approach to Orthopaedic Surgery Resident Selection. AOA/COA Combined Meeting Montreal, QC, Canada. June 18-21, 2014. Levin LS: “Update on State of VCA Transplantation – Evaluation Instruments, Providers, Follow up Schedule and Summary of Psychiatric Outcomes.” The First Chauvet Workshop: Standardization of Optimization of Psychosocial Outcomes in Hand Transplantation. Paris (Novotel Eiffel), Paris, France. March 21-22, 2014. Levin LS, Hollenbeck S, Mehta S, LoGiudice J: Panelists – Principles of Lower Extremity Reconstruction. World Society of Reconstructive Surgery Meeting. Grand Hyatt Kauai, Kauai, Hawaii. January 11-14, 2014. Garcia RM, Cho J, Pien I, Hughes D, Levinson H, Erdmann D, Levin LS, Hollenbeck ST: Microvascular Consideration and Complications for 235 Foot and Ankle Free Flaps. World Society of Reconstructive Surgery Meeting. Grand Hyatt Kauai, Kauai, Hawaii. January 11-14, 2014. Nelson JA, Fischer JP, Grover R, Low D, Kovach S, Kanchwala S, Serletti J, Levin LS: Interpositional Vein Grafts in Microsurgery: An Examination of Efficacy and Utility. World Society of Reconstructive Surgery Meeting. Grand Hyatt Kauai, Kauai, Hawaii. January 11-14, 2014. Levin LS, Zen M, Friedman J, Buchel E: ASRM Panelist – How Will Microsurgerys Afford the Affordable Care Act? World Society of Reconstructive Surgery Meeting. Grand Hyatt Kauai, Kauai, Hawaii. January 11-14, 2014. Levin LS: Clinical Research Projects and Results. Extremity War Injuries IX: Reducing Disability within the Military Symposium. American Academy of Orthopaedic Surgeons Annual, Orthopaedic Trauma Association, Society of Military Orthopaedic Surgeons and Orthopaedic Research Society. Park Hyatt Hotel, Washington, DC. February 10-11, 2014. Clement RC, Kheir MM, Derman PB, Flynn DN, Speck RM, Levin SL, Fleisher LA: The Economics of Unplanned Readmissions Following TKA and the Potential Consequences of Healthcare Reform. American Academy of Orthopaedic Surgeons Annual Meeting, New Orleans, LA. March 13, 2014. Clement RC, Kheir MM, Derman PB, Flynn DN, Speck RM, Levin SL, Fleisher LA: Are there Identifiable Risk Factors or Causes Associated with Unplanned Readmission Following TKA. American Academy of Orthopaedic Surgeons Annual Meeting, New Orleans, LA. March 13, 2014. Gans I, Baldwin K, Levin LS, Flynn J: Solving the Pediatric Lower Extremity Vascular Trauma Dilemma: Improved Care with a Vascular Trauma Protocol, Trauma VI. American Academy of Orthopaedic Surgeons Annual Meeting, New Orleans, LA. March 14, 2014. "Allotransplantation (Reaching the Top of "The Reconstructive Ladder"). The 2013 Triennial Meeting of the Duke Hand Club, Adare Manor, County Limerick, Ireland. July 24, 2013. The 40th Annual Meeting of the Japanese Society of Reconstructive Microsurgery. “The Microsurgical Reconstructive Ladder for Extremity Reconstruction-an Orthopaedic Perspective.” Morioka Civic Cultural Hall, Morioka, Japan. September 24-27, 2013. Levin LS: “Basic Science Studies of Elbow Vascularized Allo-transplant.” IHCTAS 2013 11th Annual Meeting of the International Hand and Composite Tissue Allotransplantation Society, Wroclaw, Poland. August 29-30, 2013. Levin LS: Propeller Flaps. World Society of Reconstructive Surgery Meeting. Waldorf Astoria Naples Grande Resort, Naples, FL. January 13, 2013. Levin LS: Teaching Microsurgery – How to Avoid Disasters. Master Series in Microsurgery Panel. World Society of Reconstructive Surgery Meeting. Waldorf Astoria Naples Grande Resort, Naples, FL. January 13, 2013. Levin LS: Moderator: Nerve and Transplantation. World Society of Reconstructive Surgery Meeting. Waldorf Astoria Naples Grande Resort, Naples, FL. January 13, 2013. Levin LS: History of the ASRT. ASRT Panel-Update. American Society of Reconstructive Transplantation. Waldorf Astoria Naples Grande Resort, Naples, FL. January 13, 2013. Levin LS: Robert B. Greer, III, MD Lecture in Orthopaedics. “Orthoplastic Limb Salvage – Microsurgical Reconstruction of Extremities.” Penn State Hershey, Penn State, PA. March 1-2, 2013. Levin LS: Soft Tissue Coverage of Fingertip Injuries. American Society for Surgery of the Hand Specialty Day at the American Academy of Orthopaedic Surgeons Meeting, Chicago, IL. March 23, 2013. Stevanovic M, Attinger C, Levin LS, Martin B: Panel: Complex Reconstruction: Lower Extremity. 2013 World Congress and American Society for Reconstructive Microsurgery Pre-Symposium, Fairmont Chicago Hotel, Chicago, IL. July 11-14, 2013. Levin LS: The History of Complex Reconstruction. 2013 World Congress and American Society for Reconstructive Microsurgery Pre-Symposium, Fairmont Chicago Hotel, Chicago, IL. July 11-14, 2013. Tintle S, White D, Levin LS, Mehta S, Kovach S: The Orthoplastic Team Approach to Salvage of Infected Tibial Non-unions with the Use of Free Vascularized Fibula Graft and Taylor Spatial Frame. 2013 World Congress and American Society for Reconstructive Microsurgery Pre-Symposium, Fairmont Chicago Hotel, Chicago, IL. July 11-14, 2013. Levin LS: Limb Salvage vs. Amputation for Major Lower Extremity Trauma: Current Guidelines. Panelists: Lower Extremity II. 2013 World Congress and American Society for Reconstructive Microsurgery Pre-Symposium, Fairmont Chicago Hotel, Chicago, IL. July 11-14, 2013. Levin LS: Moderator: Reconstructive Surgery-The Evolution to VCA. 2013 World Congress and American Society for Reconstructive Microsurgery Pre-Symposium, Fairmont Chicago Hotel, Chicago, IL. July 11-14, 2013. Levin LS: Microsurgical Techniques to Preserve and Improve Amputee Function.” Panelists: Lower Extremity III. 2013 World Congress and American Society for Reconstructive Microsurgery Pre-Symposium, Fairmont Chicago Hotel, Chicago, IL. July 11-14, 2013. Levin LS, et al: Panelists Group Consensus: Achieving NORMAL in Complex Microsurgical Reconstruction: Are We There Yet? . 2013 World Congress and American Society for Reconstructive Microsurgery Pre-Symposium, Fairmont Chicago Hotel, Chicago, IL. July 11-14, 2013. Levin LS: Panelist for Panel 4: The Economic Reality of Vascularized Composite Allotransplantation. 30th Annual Meeting of the Northeastern Society of Plastic Surgeons, the Ritz-Carlton, Washington, DC. September 20-23, 2013. Newman AS, Wu L, Levin LS, Kovach SJ: Techniques for Late Revision of Lower Extremity Reconstruction. Poster Presentation – World Congress Society for Reconstructive Microsurgery, July 11-14, 2013. Fairmont Chicago Hotel, Chicago, IL. Levin LS: Precourse 01: The Reconstructive Ladder – “When to Consider Functioning Muscle / CTA / Prosthetics. The 68th American Society for Surgery of the Hand Annual Meeting, San Francisco, CA. October 2-5, 2013. Levin LS: Moderator on Panel: Lower Extremity: Cutting Your Losses – Salvage vs. Amputation. American Society of Plastic Surgery Meeting, San Diego, CA. October 11-15, 2013. Levin LS & Germann G: Instructional Course Lecture: Intrinsic Flaps for Soft Tissue Coverage. American Society of Plastic Surgery Meeting, San Diego, CA. October 11-15, 2013. Levin LS: Regional Meeting – “Medial Geniculate Osteocutaneous Flap for Metacarpal Reconstruction.” Tri-City Hand Meeting, Hospital for Special Surgery, Richard L. Menschel Education Center, New York, NY, May 11, 2013. Levin LS: "The Microsurgical Reconstructive ladder for Hand Surgery." The 55th Annual Meeting of the Japanese Society for Surgery of the Hand, Pacifico Yokohama Conference Center, Japan, April 19-20, 2012. Levin LS: (Keynote Speaker) "The Microsurgical Ladder for Extremity Reconstruction" Ralph T. Manktelow Lectureship in Hand Surgery, University of Toronto Hand Program, Toronto Western Hotel, Toronto, Canada. October 12, 2012. "The Philadelphia Hand Transplant Experience" Ralph T. Manktelow Lectureship in Hand Surgery, University of Toronto Hand Program, Toronto Western Hotel, Toronto, Canada. October 12, 2012. "Surgical Management of Complex Hand Wounds" Ralph T. Manktelow Lectureship in Hand Surgery, University of Toronto Hand Program, Toronto Western Hotel, Toronto, Canada. October 12, 2012. Levin LS: “Argument Pro-Free Tissue Transfer.” Limb Lengthening and Reconstruction Society: ASAMI-North America Specialty Day Program at the American Academy of Orthopaedic Surgeons Meeting, Moscone West Conference Center, San Francisco, CA, February 11, 2012. Levin LS: “Current Indications for Replantation of Major Limbs in Adults.” American Society for Surgery of the Hand Specialty Day Program at the American Academy of Orthopaedic Surgeons Meeting, Moscone Conference Center, San Francisco, CA, February 11, 2012. Centers." American Society for Surgery of the Hand Specialty Day Program at the American Academy of Orthopaedic Surgeons Meeting, Moscone Conference Center, San Francisco, CA, February 11, 2012. Levin LS: “Reconstructing Soft Tissue Defects of the Foot and Ankle: The Orthopaedic Approach.” American Orthopaedic Foot and Ankle Society Specialty Day Program at the American Academy of Orthopaedic Surgeons Meeting, Moscone West Conference Center, San Francisco, CA, February 11, 2012. Levin LS: “Argument Pro-Free Tissue Transfer.” Orthopaedic Trauma Association Specialty Day Program at the American Academy of Orthopaedic Surgeons Meeting, Moscone West Conference Center, San Francisco, CA, February 11, 2012. Levin LS: Flap Coverage: Cross Finger, Reverse Cross Finger Thenar, Homodigital. 14th Annual Philadelphia Hand Surgery Symposium, Loews Philadelphia Hotel, Philadelphia, PA, March3-5, 2012. Levin LS: The Friday Night Dump: Emtala and You. 14th Annual Philadelphia Hand Surgery Symposium, Loews Philadelphia Hotel, Philadelphia, PA, March3-5, 2012. Levin LS: Who’s on Call? 14th Annual Philadelphia Hand Surgery Symposium, Loews Philadelphia Hotel, Philadelphia, PA, March3-5, 2012. Levin LS: PANEL: Dupuytren’s Dilemmas and Disasters Still Exist. 14th Annual Philadelphia Hand Surgery Symposium, Loews Philadelphia Hotel, Philadelphia, PA, March 3-5, 2012. Levin LS: Hand and Forearm Composite Allotransplantation: The Future of Upper Extremity Surgery. 60th Annual Meeting of the Piedmont Orthopaedic Society & Piedmont Orthopaedic Foundation, Key Largo, FL, May 9-13, 2012. Levin LS: "The Microsurgical Reconstructive Ladder - A Half Century of Progress." The Twelfth Annual John Knowles Swinburne Memorial Lecture, Long Island Plastic Surgical Group. The Garden City Hotel, Garden City, NY, May 19, 2012. Levin LS: “Orthoplastic Extremity Reconstruction.” The AO Visiting Professor, Division of Plastic and Reconstructive Surgery, Brown University, Providence, RI, May 30, 2012. Levin LS: “Orthoplastic Surgery-The Evolution of Fix and Flap.” Mayo Clinic/Chang Gung University Symposium in Reconstructive Surgery, Mayo Clinic, Rochester, MO, May 31-June 3, 2012. Levin LS: Moderator – Session II: Transplantation. Mayo Clinic/Chang Gung University Symposium in Reconstructive Surgery, Mayo Clinic, Rochester, MO, May 31-June 3, 2012. Levin LS: “Composite Tissue Allo-Transplantation.” Mayo Clinic/Chang Gung University Symposium in Reconstructive Surgery, Mayo Clinic, Rochester, MO, May 31-June 3, 2012. Levin LS: Breakout Session. “Toe Transplantation and Finger Replantation.” Mayo Clinic/Chang Gung University Symposium in Reconstructive Surgery, Mayo Clinic, Rochester, MO, May 31-June 3, 2012. Levin LS: Moderator – Session VII-B: Lower Extremity. Mayo Clinic/Chang Gung University Symposium in Reconstructive Surgery, Mayo Clinic, Rochester, MO, May 31-June 3, 2012. Levin LS: The Evolution of Microsurgery and the Development of an Orthoplastics Subspecialty. Orthopaedic Research and Education Foundation/Orthopaedic Research Society Meeting, University of Pennsylvania Hospital, Philadelphia, PA, June 8-9, 2012. Levin LS: "Vascularized Composite Allotransplantation for the Military – Awareness, Capability and Collaboration." The American Society for Reconstructive Transplantation and DOD Reconstructive Transplantation Symposium, July 10, 2012. Levin LS: “Perspectives on Reconstructive Surgery – The Duke Flap Course at 10 Years.” August 3-5, 2012, Duke University, Durham, NC. Levin LS: “Management of the Upper Extremity Amputation including Micro Coverage at Various Levels and Composite Tissue Allotransplantation.” 67th Annual Meeting of the American Society for Surgery of the Hand, Chicago, IL. September 6-8, 2012. Levin LS: “Vascularized Bone.” United States Navy Medical Center, Diego, CA. September 19, 2012. Levin LS: “Orthoplastic Principles for Extremity Salvage in the Wounded Warrior.” Project C.A.R.E. Comprehensive Aesthetic Restorative Effort – 3rd Annual Symposium, San Diego, CA. September 19-21, 2012. Levin LS: “Medial Geniculate Flap.” 28th Annual Meeting of the Orthopaedic Trauma Association, Minneapolis, MO, October 3-6, 2012. Levin LS: Mini Symposium – “How to Make Bone.” 28th Annual Meeting of the Orthopaedic Trauma Association, Minneapolis, MO, October 3-6, 2012. Clement RC, Derman PB, Flynn DN, Speck RM, Levin LS, Fleisher LA. “Risk Factors, Causes, and the Financial Implications of Unplanned Readmissions after Total Hip Arthroplasty.” Podium Presentation, American Association of Hip and Knee Surgeons Annual Meeting, Nov 2, 2012, Dallas, Texas. Clement RC, Derman PB, Flynn DN, Speck RM, Levin LS, Fleisher LA. “Risk Factors, Causes, and the Financial Implications of Unplanned Readmissions after Total Knee Arthroplasty.” Poster Presentation, American Association of Hip and Knee Surgeons Annual Meeting, Nov 2-4, 2012, Dallas, Texas. Levin LS: Hand Transplantation. 5th Annual Delaware Orthopaedic Symposium, John H. Ammon Medical Education Center @ Christiana Hospital campus in Newark, Delaware. Levin LS: Orthoplastic Extremity Reconstruction – From Replantation to Transplantation. V. H. Kazanjian Memorial Lecture, NYU Langone Medical Center, The Hansjorg Wyss Department of Plastic Surgery, New York, NY. September 20, 2016. Levin LS: Orthoplastic Extremity Reconstruction: The modern manifestations of Halstead, Kocher and Ganz. 6th Reinhold Ganz Lecture. Balgrist University Hospital Zurich, Department of Orthopaedics, Zurich, Switzerland, April 28, 2016. Levin LS: Your Next 35 Years: Observations and Lessons Learned. Alpha Omega Alpha Lecture. Induction of the Class of 2016, Perelman School of Medicine, University of Pennsylvania, Philadelphia, PA. February 16, 2016. Levin LS: Orthoplastic Extremity Reconstruction; Vascularized Bone Grafting for Extremity Reconstruction. Visiting Professor, Cleveland Clinic, Department of Plastic Surgery, Cleveland, OH. February 11-12, 2016. Levin LS: Microsurgical Techniques for Limb Salvage. 2015 DKOU Deutscher Kongress fur Orthopadie und Unfallichirurgie. Berlin, Germany. October 21, 2015. Levin LS: “Faculty Recruitment and Retention.” 2015 American Council of Academic Plastic Surgeons, Boston, MA. October 18, 2015. Levin LS: Pennsylvania Orthopaedic Society 2015 Resident Program, Preparing for the Orthopaedic Surgical Practice of Tomorrow – “Academic Practice Perspective.” Bellevue Hyatt, Philadelphia, PA. October 17, 2015. Levin LS: “American College of Surgeons Initiatives in Regionalization of Complex Hand Injury Care.” 58th Annual Meeting of the Ohio Valley Society of Plastic Surgeons. Covington, KY, May 29 – 31, 2015. Levin LS: “The Medial Femoral Condyle – A Rich Source of Vascularized Bone for Orthopaedic Reconstruction.” Piedmont Orthopaedic Society, 63rd Annual Meeting. Sea Island, GA, May 9, 2015. Levin LS: “Orthoplastic Extremity Reconstruction – 25 Years of Progress.” Mayo Clinic Arizona, Phoenix, AZ. April 10, 2015. Levin LS: “Alternatives to Thumb Replantation.” 17th Annual Hand Surgery Symposium. Loews Philadelphia Hotel, Philadelphia, PA. March 7, 2015. Levin LS: “Orthoplastic Surgical Principles.” Care Summit Meeting, San Diego, December, 2014. Levin LS: “Albatrosses and Home Runs.” 69th Annual American Society for Surgery of the Hand Meeting. Sheraton Boston Hotel, Boston, MA. September 19, 2014. Levin LS: “Where Do I Send the Mangled Hand.” 69th Annual American Society for Surgery of the Hand Meeting. Sheraton Boston Hotel, Boston, MA. September 19, 2014. Levin LS: Moderator- “Where Do I Send the Mangled Hand and Microvascular Emergency?” 69th Annual American Society for Surgery of the Hand Meeting. Sheraton Boston Hotel, Boston, MA. September 19, 2014. Levin LS: “Flaps You Should Know/ Lateral Arm Flap.” 69th Annual American Society for Surgery of the Hand Meeting. Sheraton Boston Hotel, Boston, MA. September 16, 2014. Levin LS: “Radial Forearm Flap Posterior Interosseous Flap.” 69th Annual American Society for Surgery of the Hand Meeting. Sheraton Boston Hotel, Boston, MA. September 16, 2014. Levin LS: Course Chairman - “Flaps You Should Know After Fellowship and The Reconstructive Ladder.” 69th Annual American Society for Surgery of the Hand Meeting. Sheraton Boston Hotel, Boston, MA. September 16, 2014. Levin LS: “Orthoplastic Extremity Reconstruction.” Beth Israel Deaconess Medical Center Stoneman Building, 10th Floor, Boston, MA. May 21, 2014. Levin LS: “Hand Transplantation.” Leinbach Memorial Lecture - Reading Hospital, Reading, PA. May 13, 2014. Levin LS: “Hand Transplant.” Mexican Association of Plastic, Aesthetic and Reconstructive Surgery, Mexico City, Mexico. April 30-May 2, 2014. Levin LS: “History of Orthoplastic Surgery.” Mexican Association of Plastic, Aesthetic and Reconstructive Surgery, Mexico City, Mexico. April 30-May 2, 2014. Levin, LS: "Wound Management for Pediatric Trauma". POSNA Special Day Program. American Academy of Orthopaedic Surgery Annual Meeting, New Orleans, LA. March 15, 2014. Levin, LS: "Failed CTR: Vascularized Fascial Flap.” ASSH/AAHS Specialty Day Program. American Academy of Orthopaedic Surgery Annual Meeting, New Orleans, LA. March 15, 2014. Levin, LS: Instructional Course - "Advances in Treatment and Understanding of Musculoskeletal Infections." American Academy of Orthopaedic Surgery Annual Meeting, New Orleans, LA. March 13, 2014.